Persona 5 stars a group of Phantom Thieves who go on heists to steal the twisted desires of targets in the land of Tokyo’s collective unconscious, the Metaverse. The main characters also get a costume change in these heists. Persona 5’s protagonist doesn’t talk in the game, but they say everything you need to know through their clothes. The protagonist of Persona 5 has Arsene as his initial Persona, which, for the uninitiated, are psychic projections of characters’ unconscious desires which the player uses to fight demons. While most Personas in the series come from mythology, in Persona 5's they originate from archetypal tricksters and thieves. Arsene is reference to the gentleman thief character Arsene Lupin, and both the protagonist and their Persona kinda dress like him. Arsene Lupin was created by French author Maurice Leblanc, who pitted him against Sherlock Holmes in Arsene’s first appearance in 1905. He’s also the namesake for the cafe where Persona 5's protagonist crashes. The Arsene Lupin stories matter less than the character’s influence on the design and attitude of the gentleman thief archetype. He’s suave, he’s debonair, he steals jewelry from rich people who need to be taken down a notch. You’ll see shades of him in To Catch A Thief John Robie or even the central characters of Inception. Most obviously, Arsene Lupin is also the canonical grandfather of Lupin III’s titular character, who would also go on to inspire Cowboy Bebop’s Spike Spiegel. While a lot of the gentleman thief archetype comes from attitude and small mustaches, some of it can be shown in costuming. Other than a top hat and a monocle, Lupin’s often depicted in a dramatic, red-lined cape. The Persona 5 protagonist doesn’t quite wear a cape, but has a sweeping black trench coat with a red lining. It has a high-necked collar that he can hide his face behind, and its tails swing out wildly behind him, like they have a life of their own. This is not a coat that is meant to keep you warm—this is a coat that you twirl dramatically when you want to make an exit. The protagonist also wears a mask, which isn’t quite a monocle, but it is a particularly campy way of keeping your face obscured. The Arsene Persona takes the cake with its exaggerated top hat. It’s less a hat and more a chimney on top of his head. Arsene also has a giant pair of black wings, as well as shoes with knives in them. Compared to Mara, a Persona that is literally a wheelbarrow full of dicks, the way that Arsene depicts what it represents about the protagonist’s unconscious desires is pretty subtle. In his mind’s eye, the protagonist literally is a gentleman thief stretched out to extreme proportions, and also someone who can kick your head off if need be. Both the protagonist and their Persona’s outfits take cues from French styles from the Belle Epoque. Lasting from the end of the Franco-Prussian war to around the beginning of World War I, the Belle Epoque literally translates to the “Beautiful Era” and was an explosion of art and culture for France. Arsene Lupin’s clothing reflects the styles of the Belle Epoque in which he was invented, when clothiers like the legendary Charvet Place Vendome were introducing flamboyant patterns and fabrics to the public—if you had enough money to afford them, of course. While Lupin’s well-fitting three piece suit and hat belies good taste and a great deal of wealth, the whole package is, in a way, a sarcastic remark. The ways he disguises himself are all markers of wealth: thieves are not commonly the kinds of people who wears top hats or silk. At the very least, anyone who wears a cape has a flair for drama. 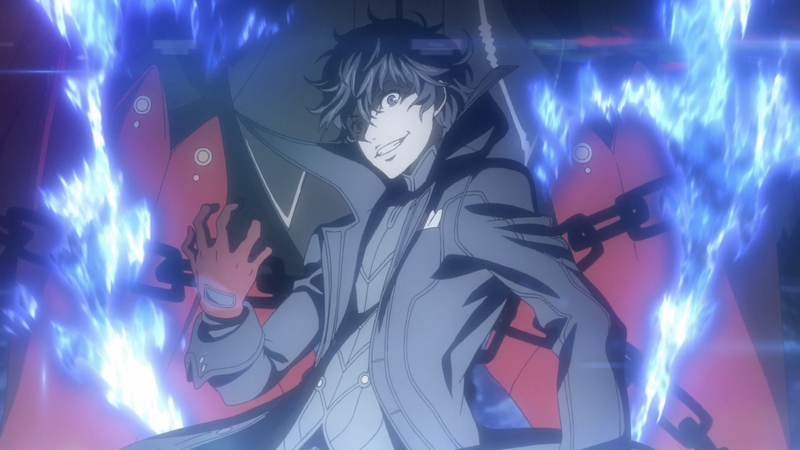 Persona 5's Arsene reflects a monstrous version of those fashions, but the protagonist’s look is closer to the spritely, mischievous thief from Leblanc’s stories. His waistcoat, cape and gloves shows a person with a strong sense of style, but also of decorum, with a tiny splash of the dramatic. He’s a high schooler in a three piece suit—this guy cares about appearances. His pants taper at the ankle, which gives them an athletic look akin to a fashion jogger. (If you wanna wrap your head around what a fashion jogger actually is, just imagine going to the office in sweats, but they look like pants professional enough to get by at the office.) Furthermore, if you’re robbing an art museum, bank or egyptian temple, the hem of your pants won’t get caught on anything. The protagonist’s shoes are a style called winklepickers. Inspired by the shape of the 15th century Crakow shoes, they’re leather ankle boots with an exaggerated pointed toe. They rose to prominence in the 60s in the UK with the rise of garage rock, and they saw a brief resurgence with the garage rock revival in the late 2000s. Given their history, they evoke a sense of rebelliousness—perfect for a Phantom Thief. It’s also in stark contrast to his look in the real world. Hiding behind glasses and a school uniform, the protagonist almost looks meek. But in the Metaverse, he reveals himself as a rebel with a strong point of view. When you bring these elements together, you see a man who has something to hide, but also kind of loves having a secret. This is a character designed as an homage to Lupin and all of Lupin’s antecedents, but in a way that doesn’t just stick him as essentially Arsene Lupin cosplay. At the start of Persona 5, the protagonist has just moved to Tokyo in disgrace, and he’s told to keep his past a secret. In the Metaverse, his true nature is wrapped around his body—he’s a passionate kid who wants to make his mark. That’s pretty easy to do in a mask and a trenchcoat.